Celebrating all that Bristol has to offer over the festive season! 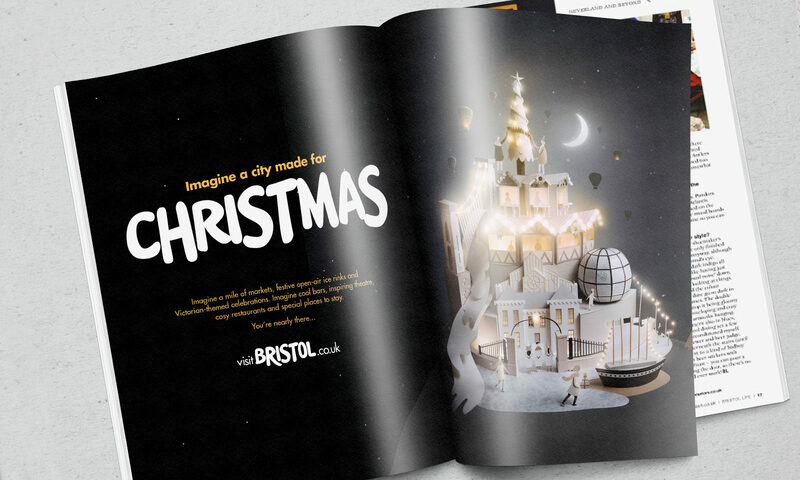 I was commissioned by Peloton Design who wanted to collaborate on a Christmas campaign which would cut through the noise for Visit Bristol. We decided to create a paper sculpture of Bristol featuring some of the cities most loved attractions. We decided on a night time scene with a muted white / champagne colour palette using G.F Smith papers. LED lights were carefully threaded through the sculpture to create a warm and inviting glow. 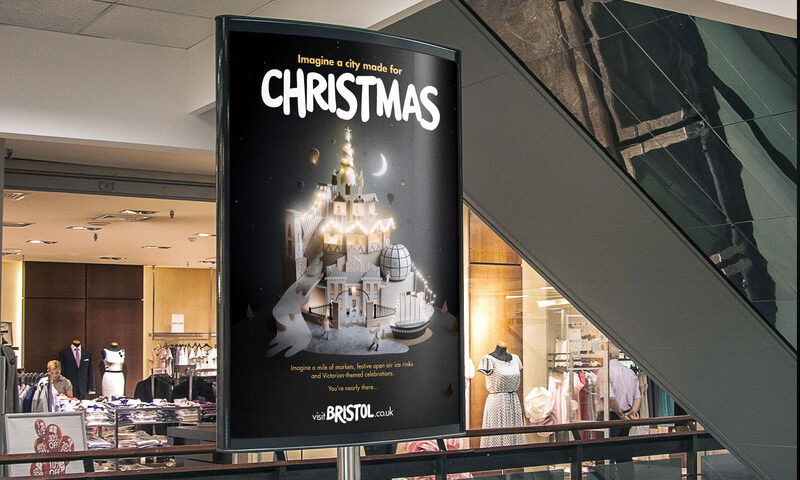 The campaign successfully helped to promote Bristol as an exciting and magical Christmas shopping destination for 2016. The making of video received over 45,000 views on Visit Bristol‘s Facebook page and ITV West Country also covered the story about the campaign. They interviewed me about the sculpture which is currently displayed in the Arcade in Broadmead shopping centre. 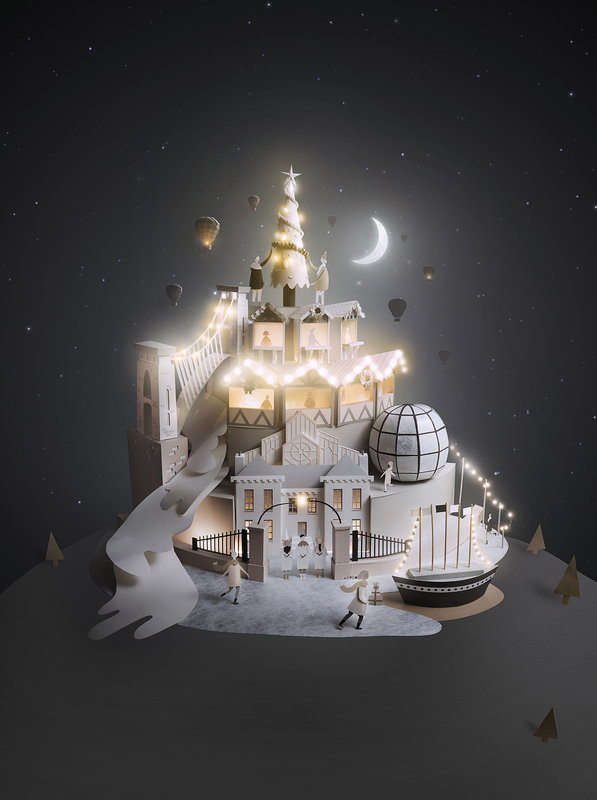 How we made a city for Christmas from Sam Pierpoint on Vimeo.